A celebration of cycling, with more than 100,000 cyclists expected to take part, the annual two-day Prudential RideLondon encompasses several separate events for top level pros, keen cyclists and fund-raising, fun-loving two-wheelers. The festival includes the Prudential RideLondon Grand Prix at the Lee Valley VeloPark, the Brompton World Championship, the pro level Prudential RideLondon Classic and the open-to-all Prudential RideLondon-Surrey 100 which sees 25,000 riders race 100 miles from Queen Elizabeth Olympic Park to The Mall, finishing in front of Buckingham Palace. If 100 miles sounds too far, there are the 46 and 19 mile challenges for new, young or less experienced cyclists, both finishing on The Mall. The whole family can get involved in FreeCycle, an eight-mile inner city circuit giving you the chance to cycle through central London over traffic-free roads. 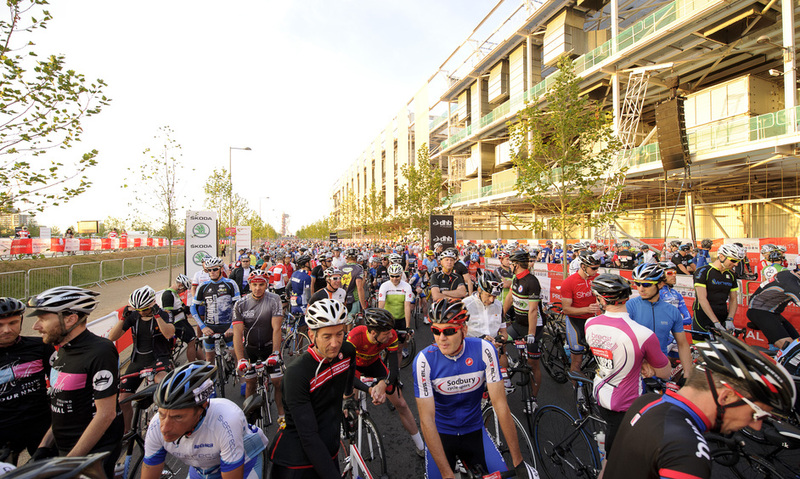 What are the best dining options near Prudential RideLondon London? Prudential RideLondon gyms, sporting activities, health & beauty and fitness. The best pubs near London Prudential RideLondon. Prudential RideLondon clubs, bars, cabaret nights, casinos and interesting nightlife. Where to have your meeting, conference, exhibition, private dining or training course near Prudential RideLondon. From cheap budget places to stay to luxury 5 star hotels see our special offers for St James's Park hotels, including The Trafalgar St. James London, Curio Collection by Hilton from 83% off.